Crazyface designs screen printed onto coloured t-shirts created for 'Colour Shop' exhibition at Gatehouse Arts, Harlow. Based on a project #CRAZYFACE I started back in 2013 to improve my portraiture drawing, I recreated some of my old sketches but slightly more simplified to suit for print. 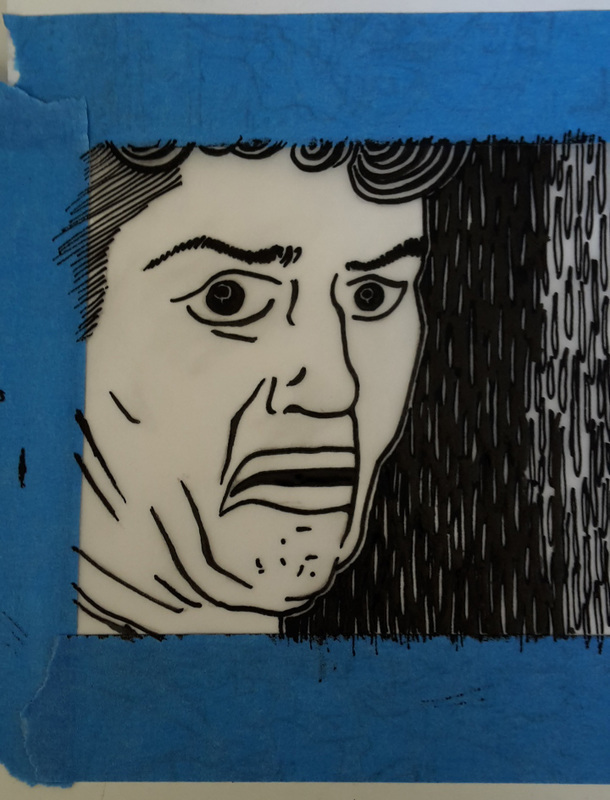 Drawing straight onto transparency paper, I created a film positive to expose onto silkscreen, and print. The final prints looked grate and were put straight into the gallery, where they have received positive feedback. Colourful expressions, on colourful t-shirts, for a colourful exhibition.